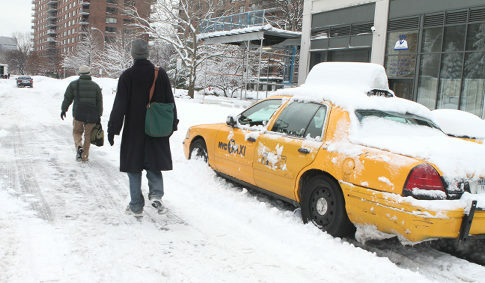 NYC Record snowstorm and a rare Thundersnow on Video. The storm came in two rounds, an initial burst on Wednesday morning and then a heavier round late Wednesday through early Thursday. 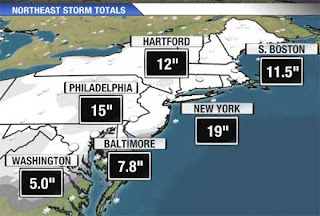 Unlike previous storms this season, heavy snow also fell in Washington, D.C., and Baltimore in addition to Philadelphia, New York City and southern New England. As snow began in the D.C. and Baltimore areas late Wednesday, thunder and lightning were common. Snowfall rates of 1-2 inches per hour made for a nightmare evening commute.